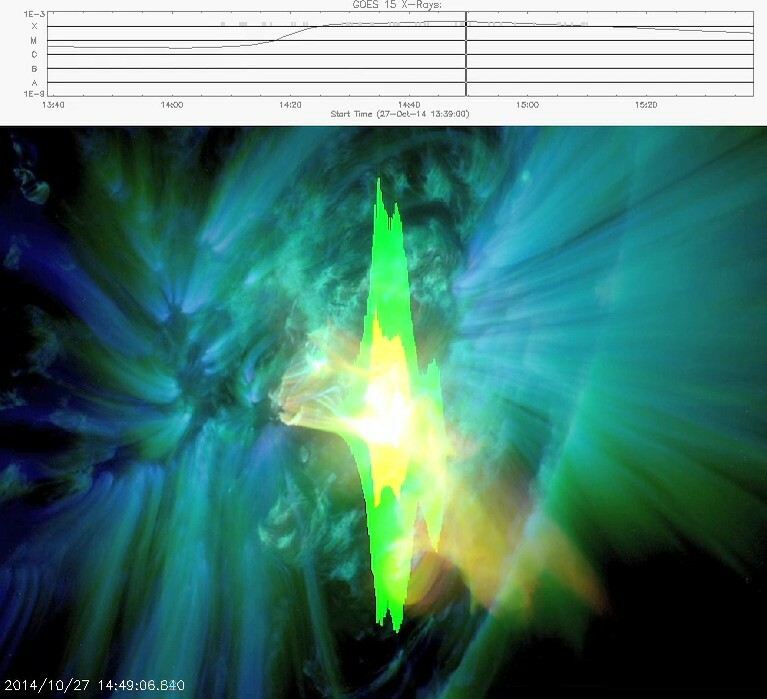 A strong X2.0 solar flare, now the sixth X-Class event around region 2192, was detected at 14:47 UTC Monday morning (Oct 27). 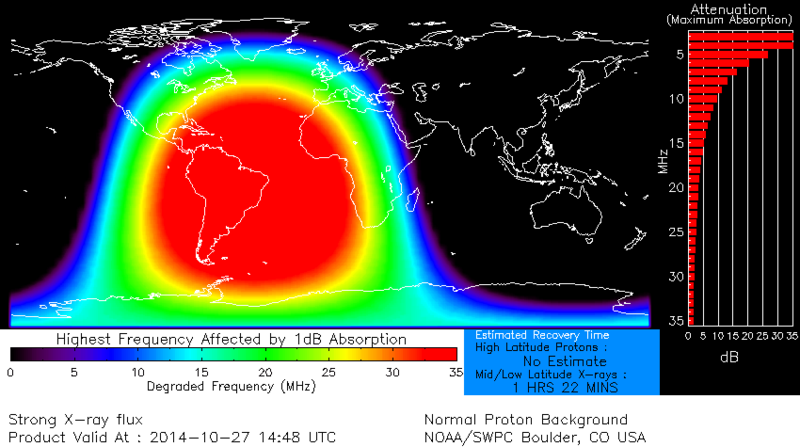 The event triggered a strong R3 radio black on the sunlit side of Earth. 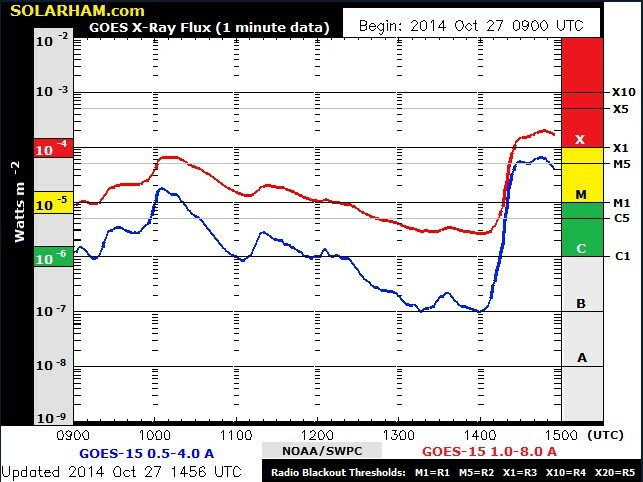 So far the event does not appear to be eruptive, meaning a noteworthy CME is not expected. More details to follow. Video of the event is now uploaded. 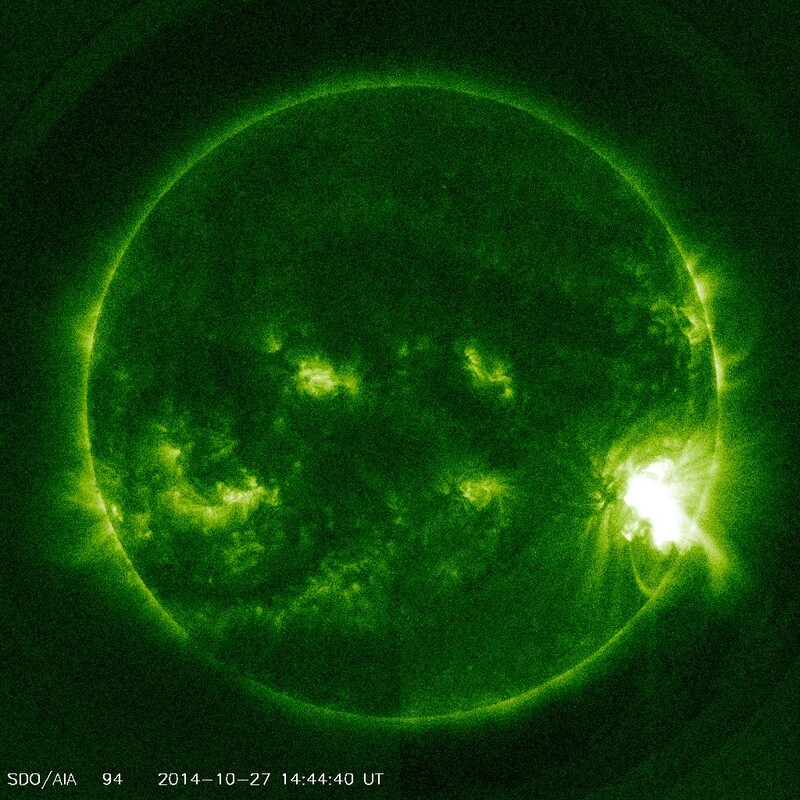 Also includes GOES-15 X-Ray and Simulated Global D-Layer Absorption data. 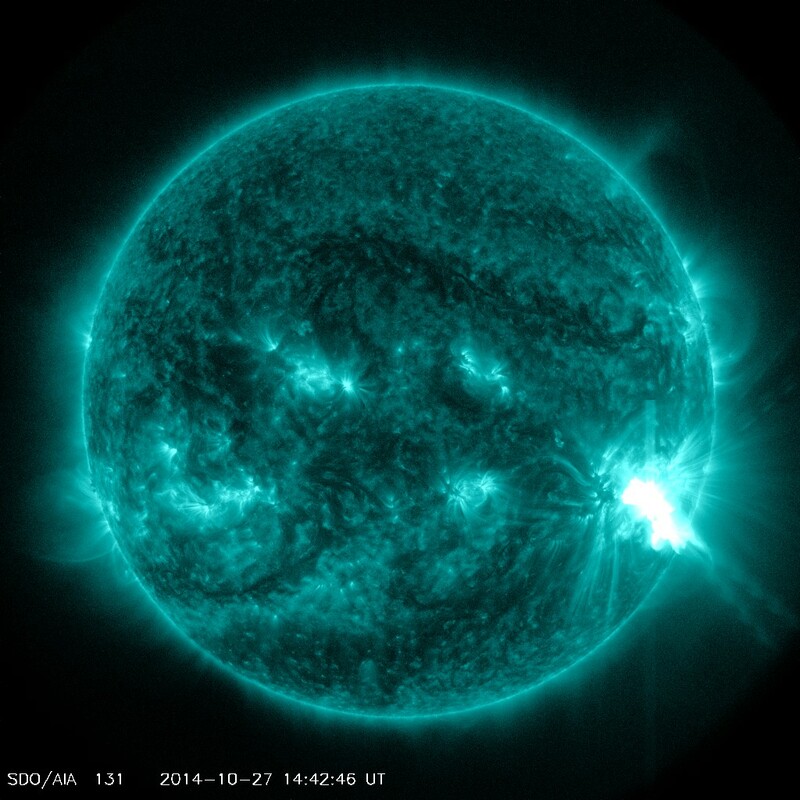 AIA video of the event is now available. Located on right hand side of page. 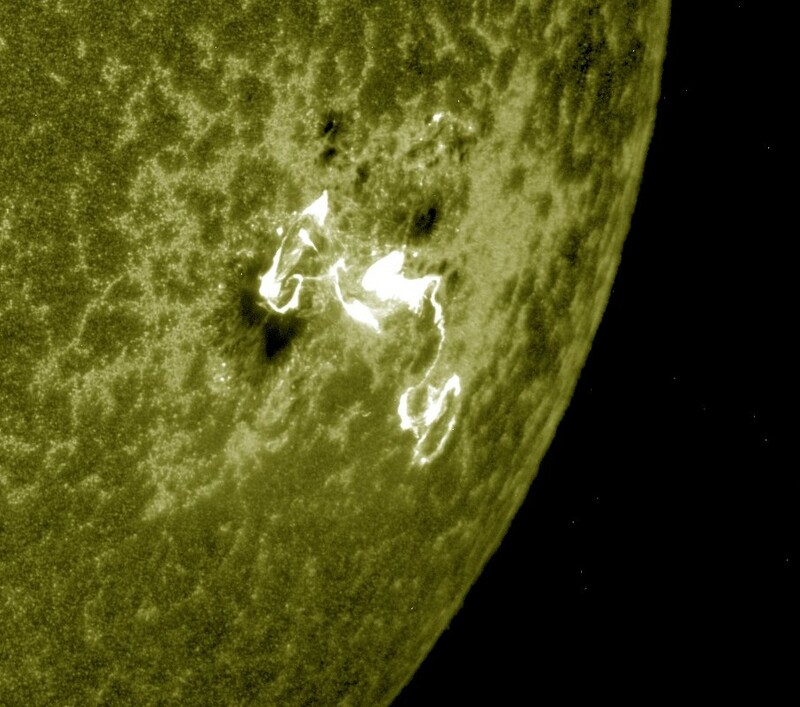 Based on updated AIA 193 imagery, the event does not appear to be eruptive, meaning a noteworthy CME is not expected. Will provide updates when necessary. 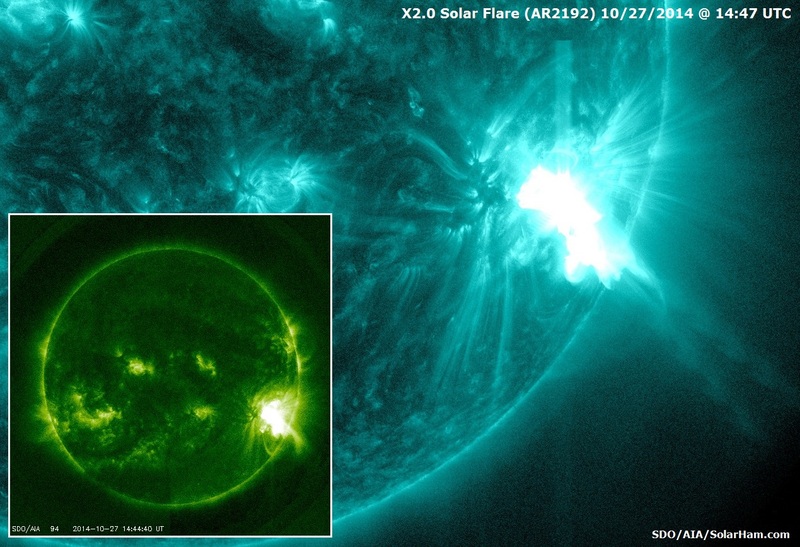 A strong X2.0 solar flare, now the sixth X-Class event around region 2192, was detected at 14:47 UTC Monday morning (Oct 27). 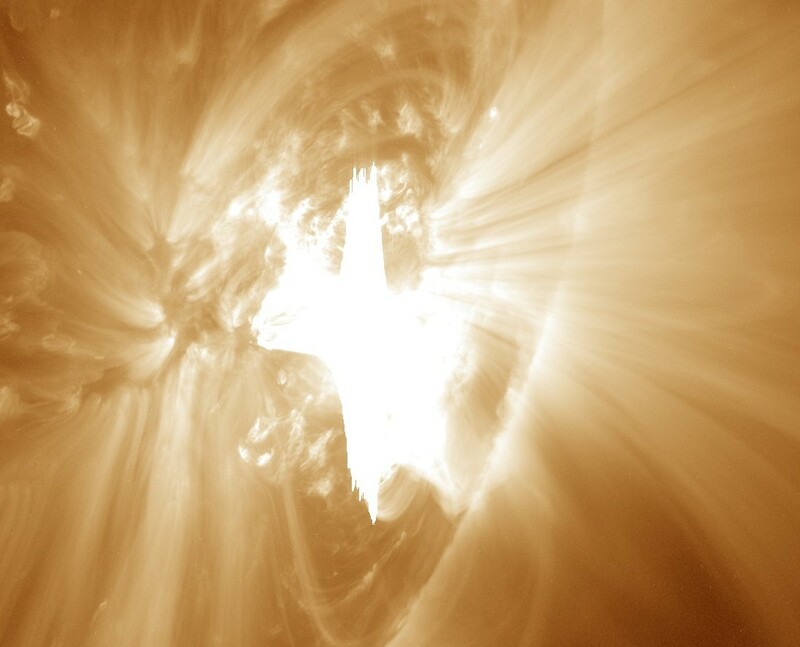 The event triggered a strong R3 radio black on the sunlit side of Earth. More details to follow.